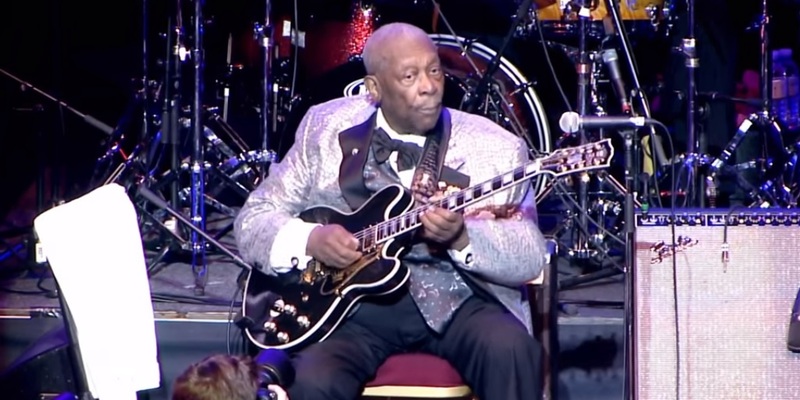 B.B King, a Blues king, indeed. B.B King the blues master himself, Born under the name Riley B. King September 16, 1925 - May 14, 2015. This man ruled the blues genre for nearly a century and guitarists today still look up to his famous vibrato and dynamic phrasing. As previously mentioned, dynamics was a very important part of B.B’s playing. He refers to it as sort of a break for the ears or going through some hills in the music rather than consistently going straight, there are a few bumps here and there. Not to mention his immediately recognisable vibrato. When you’re listening to B.B you know it and personally I feel as if that’s something guitarists today still strive to do and be like not just with vibrato but with their playing altogether. Somehow even the blues can sound happy with this particular composition, starting with a scream of Riley’s guitar or rather B.B’s and the signature vibrato we all love so much. Released in 1969 it definitely has the psychedelic feel in the air of it and if you haven’t heard it already it’s worth listening to. This man wasn’t just a guitarist he was a showman though he sung a majority of his songs and in fact a Bluesman as people called it back or call it was expected to sing his own songs. B.B was the front man of the band and in B.B’s experience it stayed that way. “I never knew Lester Young personally, but he taught me. Not literally but through his music. Whenever he seemed to get a good note he’d always seem to hang onto it and try to milk the most from it” So next time you realise you picked something up from somebody else’s music just remind yourself that is normal and continue on, creativity is meant to be shared. Check this lesson out as well, it’s definitely worth diving into B.B’s style. With over 50 albums released over his lifetime it’s nearly impossible to pick a few favorites when they’re all so good! If you really want to get a taste of this man’s blues then listen to the greatest hits album and I’m sure you’ll like it so definitely get out to your local music store and pick it up cause YouTube compression doesn’t do his songs justice whatsoever. That’s it for now guys! As usual have a good one. Mr. Blue signing off, oh yeah check out these source interviews so you can hear what he thinks himself!